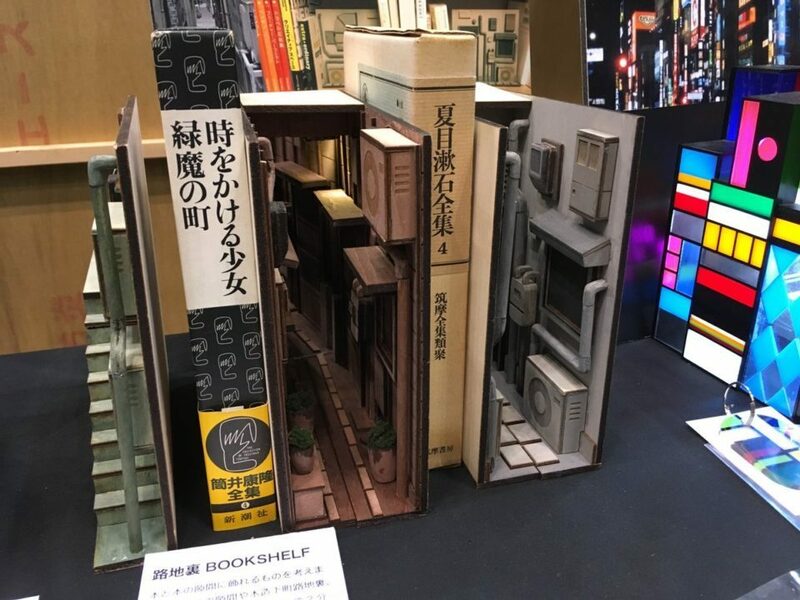 Inspired by the winding, cyberpunk-worthy passageways of modern-day Tokyo, these bookends invert expectations, shaped themselves like books but carved out to reveal city-based stories. Most sculptural book-bracketing devices stand out as different from the volumes between them, but these read like novels set at either end of a shelf. Within the voids, detailed solids populate the urban landscape, from architectural elements right down to weeds and grit and grime. Japanese designer Monde designed them as individual works but also to work in pairs, curving around and creating an implied scene. Hidden from view, this suggests thin passages behind your books — the result: a temptation to take volumes off the shelf for further exploration. For anyone who has traveled the alleyways of Asia, from China to Japan, these will feel both dark and adventurous but perhaps also cozy and familiar at the same time. 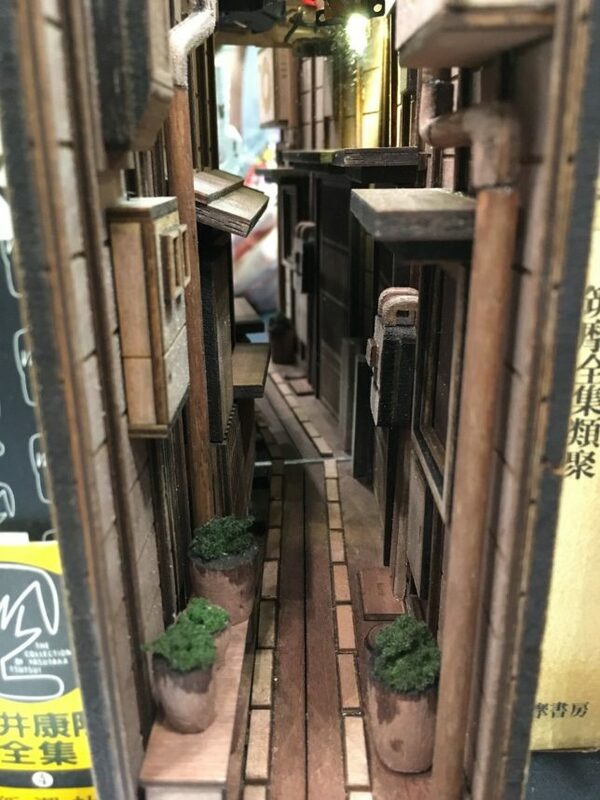 Monde also crafts other miniature urban scenes, but there is something special about these ones, sandwiched between walls that set creative limitations (but also create opportunities for cleverness.